Who doesn’t love a free Christmas printable? I love the image of this little red truck carrying the Christmas trees off in the snow. Maybe it’s because it’s still pretty warm in Texas. Looking at this picture makes me want to pack up my things and take a trip to the mountains. I hope that it is a little cooler where you are. Grab your free Merry Christmas printable below. 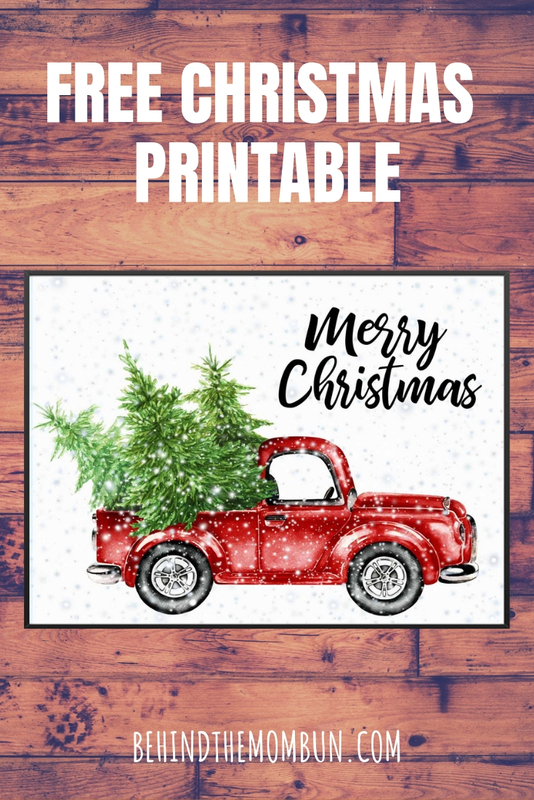 The post Little Red Truck Merry Christmas Printable appeared first on Behind the Mom Bun.